The new German Earthdawn publisher Ulisses Spiele recently added the old German PDFs from Earthdawn 1st edition to their store at ulisses-ebooks.de. Every book for 4,99 € is in my opinion a great deal to get some inspiration out of the old material, which still can be used with some minor adjustments for the new Earthdawn 4th Edition. Habt ihr schon gesehen, dass die ersten PDFs zu den Büchern aus der Fanpro-Zeit bereits verfügbar sind? Alle zum schmalen Preis von 4,99 €! Weiterer Kram wird folgen, inklusive der Romane als Epub ... aber das wird Zeit brauchen, weil die bisherigen PDFs leider die einzigen waren, zu denen wir noch Daten sicherstellen konnten. Hier noch mein kurzer Kommentar: Die alten Earthdawn Romane als Epub verfügbar zu machen ist einfach klasse, dabei hoffe ich natürlich, dass eines Tages auch die Romane zu Cathay von Hank Woon übersetzt und in Epub Form zu kaufen sein werden. Aber eins nach dem anderen, die genannten Romane (welche auch immer), sowie die angekündigten Kurzgeschichten kann ich kaum erwarten. The International Gaming Days “SPIEL ‘14” took place from Oct. 16th – 19th at Essen. Like every year many RPG publishers were on site. The German DORP-TV made various interviews with German as well as International publishers and for Earthdawn fans most interesting, with FASA (namely Ross Babcock) and Ulisses Spiele, the German publisher of Earthdawn. The second interview with Michael Mingers from Ulisses Spiele was held on German. The "Earthdawn part" starts at 11:10 minute. Wir werden erstmal warten mit eigensprachlichem Material, das nur auf Deutsch erscheinen wird, bis die Grundregelwerke rausgekommen sind. Was aber auch noch geplant ist, ist eigenes Deutsches Material, sowohl im Quellenbuch Bereich, wie auch Abenteuer, als auch NEUE ROMANE BZW. KURZGESCHICHTEN!! The following dice roller software was originally created by Spader as a 3rd edition dice roller. The great thing about it was the possibility to use different dice tables by simply editing the file step.mdb. Yes Earthdawn had a lot of miniatures back at the time when Heartbreaker produced them. I think it it were 53 to be exactly! At this article over here were 101 Earthdawn miniatures introduced on the blog. But now back to the Kickstarter project that was initiated by Impact! Miniatures. FASA granted Impact! Miniatures permission to produce miniatures for Earthdawn. To do so, they acquired the original masters to create new molds and make new miniatures like those from Heartbreaker. Head over to the Kickstarter page to find out more about the miniatures, their size, the stretch goals and the pledge levels that are available. Earthdawn 4th Edition is looming! But what changes with the new rules for Earthdawn Character sheets? So I contacted Morgan Weeks to find out what needs to be changed and he was so kind to sum up the changes that are relevant to update the character sheets to Earthdawn 4th Edition rules. He mentioned for example that Karma checkboxes are no longer needed, you can now use Karma for every Discipline Talent. All in all there are not too much changes necessary to update a 3rd Edition sheet to 4th Edition. See change log below. I decided to update one of my favorite Character sheets to 4th Edition, the sheet Ajfel and I already provided on the blog over here. The new PDF is still fully editable! The spell sheet was removed, because the spells will change too and I don’t know yet how the sheet will look like. A German translation of the sheet is already in the making. So, prepare for updates of this article. By the way your opinions and critics are as always very welcome. After a long process of certificating, proofing and testing his Earthdawn knowledge, I am proud to introduce Sethariel as a co-author to the Earthdawn Blog. As some of you might know, Sethariel and I already cooperated many times on several blog posts and interviews that were published on his old blog or over here at the Earthdawn Blog. 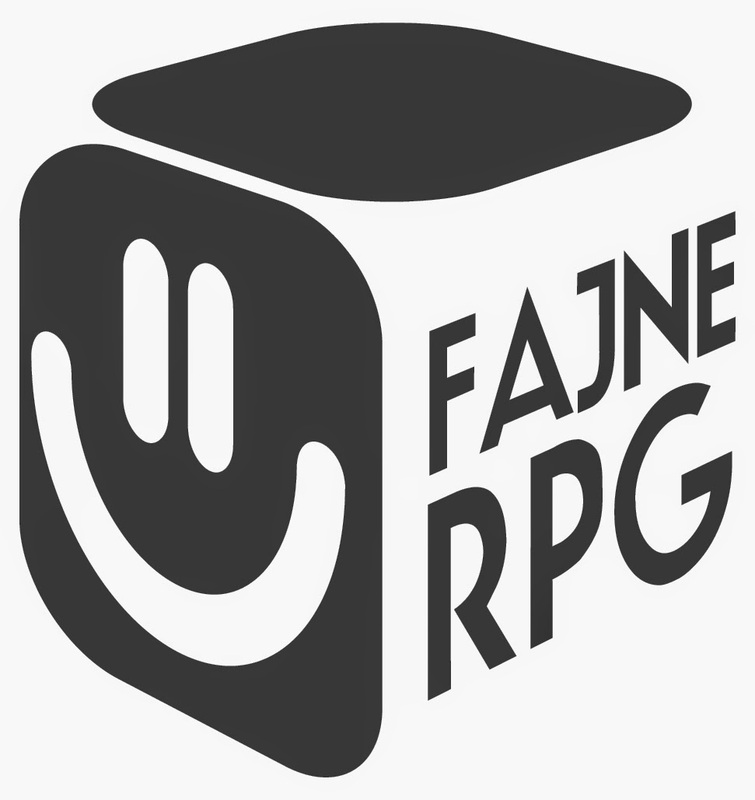 Sethariel is already contributing to the polish RPG page gry-fabularne.pl and administrates the earthdawn.com.pl community (formerly earthdawn.pl), but nevertheless I am very proud to have him on board over here. It’s been 6 years now, just me blogging about Earthdawn and RPG stuff in general. So what can you expect from us two now? We are planning to mainly report about Earthdawn of course, with some general RPG news. Sethariel will cover the Polish community and I will cover the German news, that surely will come up with the release of the German Earthdawn books by Ulisses Spiele. We both will try to bring you the recent news and developments of the English community and their fan creations, and of course introduce some of our ideas as well. I think you’ll hear or read from Seth in a few days, making his debut on the Earthdawn Blog. Hier noch ein kleiner Hinweis für deutsche Earthdawn fans, die oftmals mit den Konvertierungen der Amerikanischen Längemaße und Einheiten zu kämpfen haben. Ulisses hat dazu ein paar Daten, Zahlen und Fakten zusammengetragen. Recently I stumbled upon the Name-giver Race Size Comparison Chart at the Earthdawn Compendium. I really like the comparison and after a short conversation with Flagg, I was allowed to add it to the blog. I added metric heights to the chart so that the rest of the world can better picture the size differences of the Earthdawn races. Hell yeah! Nach einer “kurzen” Periode des Stillstands, was die Veröffentlichung von deutschem Earthdawn Material betrifft, tut sich wieder etwas auf dem hiesigen Rollenspielmarkt. Die Übersetzung der vierten Earthdawn Edition plant Ulisses Ende 2014 zu veröffentlichen. 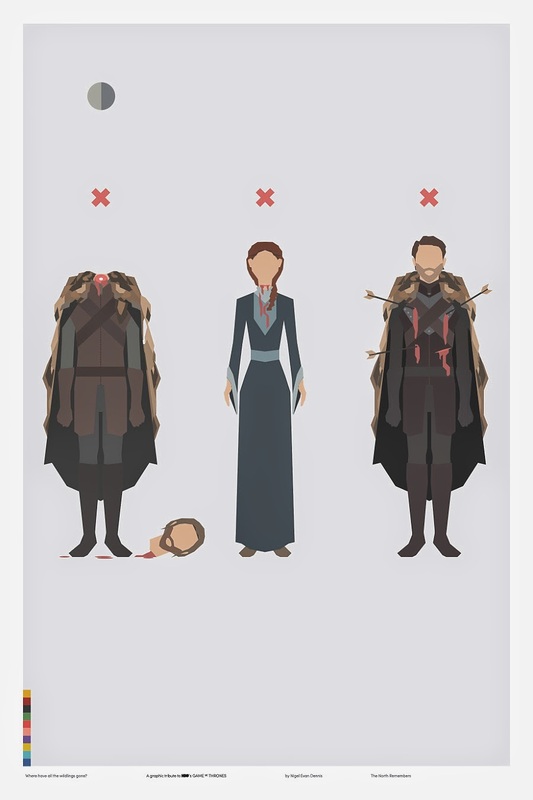 Watching the new season of Game of Thrones? The superior designed page by Nigel Evan Dennis lists a huge amount of information about Game of Thrones. That is probably the best question. I love design. I love 'Game of Thrones'. The story and the characters of the show fuel the outlet. The outlet being this website. I also believe it is important to step outside of your creative comfort zone and develop some new "chops". Hier mal wieder einer der wenigen (1/2) deutschsprachigen Einträge auf dem Earthdawn Blog. Es geht um den kurzen Hinweis auf die DORPCast Episode 22: Earthdawn forever, in der Michael und Thomas sich anlässlich des 15 jährigen Jubiläums der DORP mit dem Rollenspiel Earthdawn und den aktuellen Entwicklungen beschäftigen. Die DORP wird heute am Tage 15 Jahre alt – und kaum ein Rollenspiel dabei so eng mit der Geschichte und Entstehung unserer Webseite verbunden wie Earthdawn. Anlass genug für Michael und Thomas einmal knietief durch die Nostalgie zu waten und sich an der Vorstellung eines ihrer beiden liebsten Systeme zu versuchen. Schaut euch einfach mal auf der Seite zur Podcast Episode um, wo auch eine Themenübersicht und die im Podcast angesprochene Medienlinks zu finden sind. Nico and his brother Claus present you their translation of the original german book “Verborgene Talente” they created in september 2012. The new book is called Hidden Talents. “Hidden Talents“ is an unofficial supplement for the Earthdawn roleplaying system, from fans for fans. This volume contains a substantial collection of more than one hundred new talent knacks across all original disciplines. As a bonus feature, a new class of magical companion will be revealed! Earthdawn Kickstarter – Elven Nations unlocked!! As I just saw at the Earthdawn Kickstarter page, the project funded more than $80.000. The Elven Nations book will be added to the reward offers and as an add-on, in both PDF and print options. The Earthdawn Kickstarter campaign has raised more than 700% of it’s original goal at the time of writing this article! The finish line is ahead and if you’re still hesitating to make your pledge, I can tell you that there are only 3 days left to support one of the best high fantasy RPG’s that are out there. I guess these links sum it up pretty good about what information was spread during the last weeks. But I still want to add some additional information that could be interesting to you. I cite it here from various sources, be it comments of the Kickstarter campaign, G+ or forum posts. We'll release the PDFs as soon as the layout has been through blueline, a month or so ahead of the physical books. Josh Harrison says the Players and GM's Guides are currently scheduled for release in August, Travar for October, and the Companion for December, with the usual disclaimers about risk and acts of the Passions and so forth. All backers who pledged for softcover or hardcover editions of the books will receive a free GM screen. We'll put all the tables and charts you need on one side, and full color art on the other, on a fold-out cardstock screen. This includes a 16-page booklet of pregenerated gamemaster characters and other useful material. We will add the GM screen to our online shop and product line once the KS reward copies have shipped. Yes, we're adding a PDF version of this to the PDF Everything Bundle. Of course the overview makes no claim of being complete. But I hope some of the info is helpful to make your decision to select a pledge and support the project. Finally I can only recommend to have a look at the Earthdawn FASA Games Forum to read about the latest discussions and debates. Nico, who also created the Poor Attack Test Tables and Barsaive’s Bestiarium, recently released his latest fanzine called Mystic Bonds. The Earthdawn Kickstarter campaign is live and after a short period (1 day), already reached it’s goal of $10.000!! Hell yeah! The delivery dates for the pledges is set to Aug/Sep 2014. All the information about what you still can pledge for, can be found on the project’s Kickstarter page. If you have already played some previous Earthdawn editions, you might be wondering, what changes in the new Earthdawn 4th Edition. For this reason Josh Harrison released 4 Earthdawn 4th Edition previews so far on the FASA Games Blog. Josh Harrison, Earthdawn line developer held an ED Q&A session at rpg.net’s chat yesterday and the log of the session was released at GMshoes’s office.